From 1947 to 1951, the members of Carmelite Order used this building. sometimes referred to as the Gray House, as their monastic residence. Once serving as a Carmelite Monastery, this building was later used as a convent for Catholic nuns and today serves Our Lady of Grace Church in Encino as the parish offices. 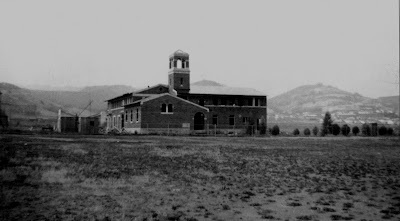 It served as a monastery from 1947 to 1951. The Roman Catholic Carmelite Monastery in Encino, California. The monastery was dedicated on the 27th of August 1951. 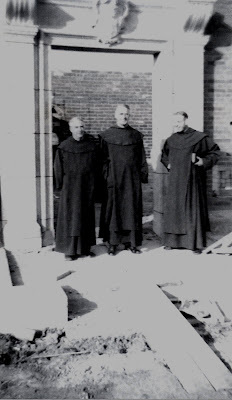 Three Carmelite priests at the entrance of their future monastery taken early in 1951. The priests, (left to right) are Father Enda, Father Patrick and Father Ignatius. Over their traditional Catholic cassocks, they wear a brown serape-like garment called a scapular. This marks their Order's origin around the year 1150 AD on Mount Carmel in the modern state of Israel. The official title of their religious community is The Order of the Brothers of Our Lady of Mount Carmel. 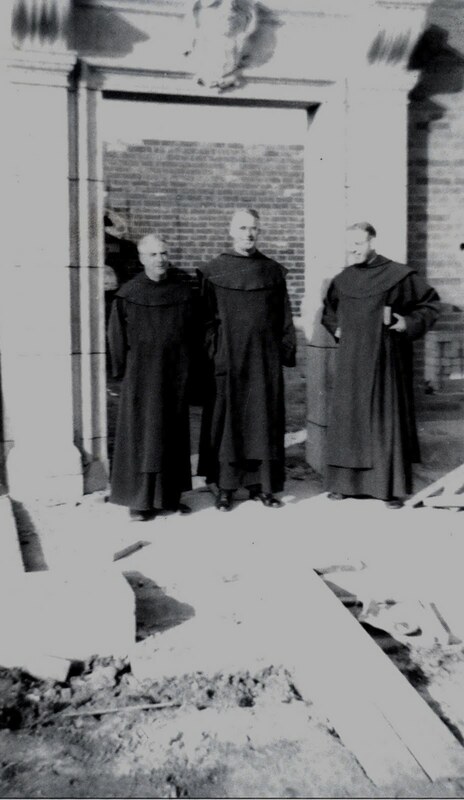 In 1959 these Catholic priests opened Crespi Carmelite High School, which their Order still operates today. 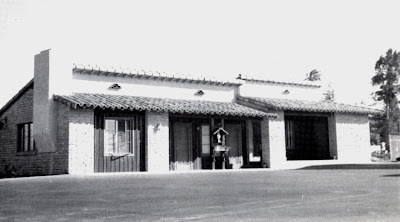 It is named for the Franciscan priest, Father Jaun Crespi, who accompanied the Spanish explorer Gaspar de Portola in his first expedition to the San Fernando Valley in 1769.